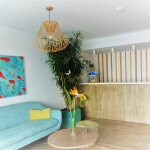 Our English-speaking reception staff will be pleased to assist you and inform you about the country, its culture and the multitude of leisure activities available (trips, restaurants, sports centres etc). 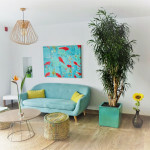 Of course we will also help you if you wish to rent a vehicle (car, motorcycle or bicycle), and we can also provide travel guides, postcards and stamps, apart from passing on your post. 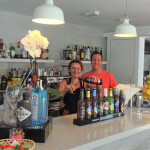 The bar at the swimming pool is a general meeting point for our guests. 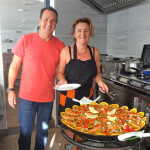 Susi and Paco, the proprietors, serve a selection of Spanish and international dishes, for example their famous Paella on Thursdays. They will also cook a dish of your choice if you order in advance. Sometimes even when you’re on holiday you can’t avoid having to wash a few items of clothing. For this purpose we have a small self-service launderette with an industrial washing machine and a tumble dryer.